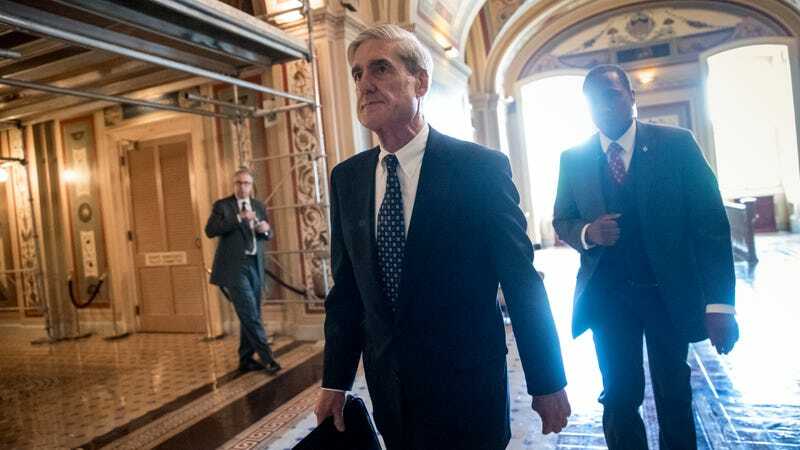 As former FBI Director Robert Mueller’s investigation looks like it’s gaining on the Cadillac One, rumors resurfaced this weekend that President Trump might fire Mueller. On Saturday, a new surprise–Mueller has thousands of transition team emails! But firing Mueller hasn’t come up, why do you keep asking every goddamn scandal? On Friday, Democratic Congresswoman Jackie Speier told KQED that “rumor on the Hill” on Thursday was that Trump plans to fire Mueller on December 22nd when Congress and the Senate are not in session. On Saturday, Axios reported that the FBI special counsel had obtained tens of thousands of emails exchanged amongst the Trump transition team (the link is currently down). Michael Flynn had a transition team account. Subsequently Kory Langhofer, the Trump transition team’s legal counsel, wrote in a letter to congressional committees that the emails included privileged information and their submission violated Fourth Amendment protections against unreasonable search and seizure. That is BS, according to former federal prosecutor Renato Mariotti. CNN hears from “sources familiar with the matter” that Trump’s private lawyers will be meeting with Mueller soon to “gain a clearer understanding of the next steps in Mueller’s probe.” Interesting. On Sunday Treasury Secretary Steve Mnuchin says he has no reason to believe Trump will fire Mueller. They had dinner on Saturday, and it didn’t come up. Sarah Huckabee Sanders says they expect to be wrapping it up soon. And then Trump can get back to instigating the Apocalypse on Twitter from bed in a Diet Coke-fueled tantrum.